MERRY EVERYTHING… a CASH giveaway!!! GIVEAWAY is now CLOSED … scroll down to the Rafflecopter Widget to find out if you won! This time of the year is crazy with all the expenses everyone has. Between the holidays and the new year, things just add up. That’s where we come in! We have teamed up with 24 other bloggers who are hosting a HUGE $400 CASH Giveaway! You heard right, cold hard CASH. We want to help you out with all those holiday bills and all you have to do is enter below. 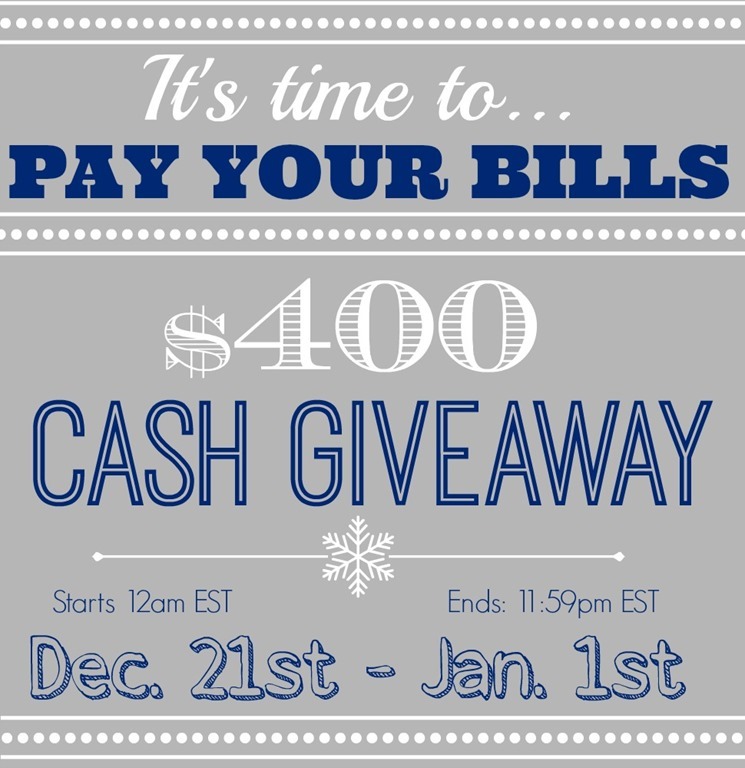 One of our lucky readers will win $400 cash to help out with those bills and start the new year right! Giveaway ends on Wednesday, January 1st at 11:59 PM EST. Winner will be notified by email and will have 48 hours to respond or another winner will be chosen.